Are you making the best use of customer input and market insights to deliver innovation and growth? Creating successful, innovative new products and services has never been more dependent on tapping perspectives from outside your organization. 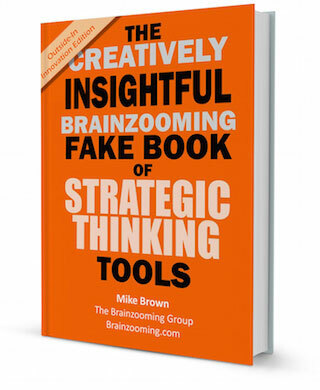 This new ebook features sixteen strategic thinking exercises The Brainzooming Group uses with clients to ideate, prioritize, and develop their best innovative growth ideas. This FREE ebook turns talk about innovation into actionable strategies to drive growth.